At Mossy Oak Properties we understand your passion for the outdoors; it’s our obsession. We believe in the heart of every human being is a desire and a connection to the land that touches our souls in a way that binds us more deeply to God’s great creation. That’s what makes owning your own piece of ground so fulfilling … we get it. Like many of our customers, our brokers love to spend time in the woods, whether they are hunting, fishing or sharing the beauty of the outdoors with friends and family. We understand the importance and commitment of good stewardship what that means for providing future generations with the all the rights and privileges we enjoy today. Being able to spend time outdoors is our way to connect with the most important things in our lives. Our family, our friends, the critters we care about, and most importantly, to help our clients fulfill the dream of buying their own ‘fistful of dirt’. Our brokers know the joy of waking early to watch the woods come alive with the sunrise and sharing an evening by the campfire with their kids. Let the experts at Mossy Oak Properties connect you with the right piece of property that will fill your dreams and inspire your imagination. We love what we do, and want to help you discover the unique bond with the land and its creatures that only comes with owning your own property, as well as, the joy of a getting a little dirt under your fingernails. 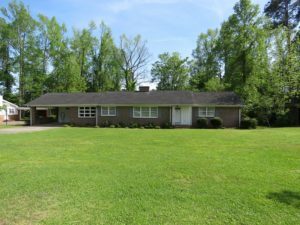 If you are looking to buy land in North Carolina, then working with a broker from our team of dedicated land specialists is the right choice. We know the right questions to ask so we can find and recommend the perfect property for you. 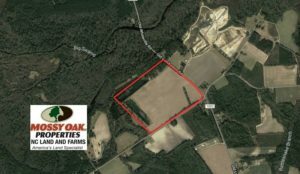 We are North Carolina’s Land Specialists — Trust the experts at Mossy Oak Properties! Here are some trusted vendors who can help you acquire your dream property! Contact one of these lenders for your financing needs. Here is a list of eastern North Carolina licensed surveyors. If you are looking to buy NC land or a farm in North Carolina, contact us toll free at 844-480-5263 or info@mossyoakproperties.com and discover why we love what we do.